Joshua Derse ’18 — As noted in the vlog with Adam, visiting the Civil Rights Museum in Memphis, Tennessee was a great capstone to the entire trip. The Museum did a fantastic job at telling the story of colored people’s struggle for equality and civil rights from the early days of slavery to the present day. What impacted me the most was how in depth and detailed the information the museum was when presented to you. Being in the political science part of the course and being a political science major, you do deal a lot with dates and timelines. Doing this can in a way dehumanize the events one is studying and it can cause one to barely scratch the surface as to the real meaning of the events of the Civil Rights Movement. One way that this trip has impacted me is that it has made me understand more the profound struggle of African Americans and others for equality and civil rights in America. Hearing their voices through recordings and having their struggles come to life through the artifacts and primary sources allowed me to view the Civil Rights Movement through a completely different lens. This dynamic and unique view certainly would not have been possible to have if the course and its experiences were solely confined to the Wabash campus. The music aspect of this course cannot and never should be separated from this immersion experience. The music aspect of the course is invaluable. After this experience I have a whole new understanding for the African American music and even the genre of blues. Talking to Ms. Diane Harriss from Selma, one thing she touched on was how the music of the Civil Rights Movement helped keep her and others around her sane at times. Hearing this made me realize how intertwined the politics and the music of the movement were at the time and even still today. Ms. Harriss’ testimony showed how the music served as the backbone and source of identity for the black community during the Civil Rights Movement. In Memphis, visiting the Loraine Motel was quite an experience. This was the motel that Dr. Martin Luther King Jr. was assassinated at on April 4th, 1968. Standing in rooms 306 and 307 (King’s rooms) was just a surreal experience. Seeing those rooms in person made the events and the feelings associated with those evets all the more real. Standing in the motel there was definitely a somber feeling at all times. It was almost as if you could feel the mood in the air, the same mood of uneasiness and sadness that followed the death of King. 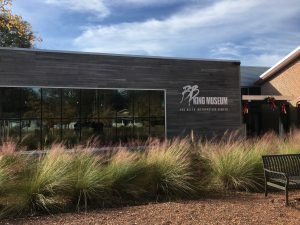 In totality, visiting this museum gave an in-depth look into the complete history of the Civil Rights Movement. The important part was that at no time did I feel that the story the museum told was complete. This conveyed the message that the struggle for civil rights worldwide still goes on. Gage Ulery ’18 —During our stop in Memphis, Tennessee, the African American music class made a trip to the Rock’ n’ Soul Museum. This museum included an interactive audio tour that provided us with great information about the formation of blues, R&B, and rock’ n’ roll. Some of the information provided to us was talked thoroughly about in class with Professor Spencer. Before this class and the Memphis stop, I had no idea how important Memphis was to African American rights and music. Memphis radio station WDIA was the first station in the United States to have all African American DJs and was the most popular radio station along Beale Street. Imagine how much different would our radio stations be today if WDIA had not come along. Sam Phillips, the founder of Sun Records, would record any person playing any type of music as long as they were good. Dewey Phillips was one of the first white radio DJs to broadcast R&B music to an all-white audience. All of these influential factors played a much larger role in the Civil Rights Movement then I realized. After the music class finished up at the Rock’ n’ Soul Museum, some students walked to the Lorraine Motel, where Dr. Martin Luther King Jr was assassinated. This trip was powerful because it put everything we had learned about in previous classes and this class into reality. To think that less than 60 years ago, some groups of people were not treated fairly and killed puts into perspective how messed up our nation was. I am extremely grateful for this opportunity to learn more about our past and the Civil Rights Movement that changed the United States of American. Enrique Vargas ’19 — This Civil Rights Trip was a really amazing experience; a week that I will most likely never forget. Even though we only left one week ago, I still feel like a completely changed person. Seeing these historical civil rights locations in the flesh really brought things to reality for me. One of the dangerous misconceptions that arises when you only have a history book as a reference, is that these events feel like they took place long ago. What this trip brought to reality for me is that the Civil Rights Movement did not take place one thousand or two thousand years ago. These events are in recent history; there are still people alive from that period to tell their story. We heard a lot of stories this week; and we visited a lot of different places. The place that struck me the most was the Lorraine Motel, which we visited while we were in Memphis, Tennessee. This is the location where Dr. Martin Luther King Jr. was killed on April 4th, 1968. I first read about King’s assassination, surprisingly, when I was in elementary school. I never thought in my entire life I would actually be able to visit this location. It is very prideful to see how King’s life goes on. Even though he was killed here, people have gone through greats efforts to ensure that he is not forgotten. The museum educated me on the complete history of the African American struggle. All the way from slavery, through the Civil Rights Movement, and continuing to this day. It showed me that there is still work to be done for equality, but to also be respectful for the activists who lived before me, and sacrificed their lives so I could live a better one. This is one of the aspects of the trip that will live with me forever; be kind and pay your respects to those that came before you. I would not be in the right to ignore this next thing. As we were traveling along in the trip, I took notice of the high percentage of run-down neighborhoods we passed by, and how many homeless people we encountered on the side of the street. It just made me confront the fact that there is still a lot of work to be done in the U.S. about poverty. We like to ignore it, and say that it only happens in other countries, but not the U.S. I think people with this mindset need to go on a trip like this, so they can see firsthand that they are wrong. Something needs to change; I think it starts with us immersing ourselves and seeing that a change is needed. Benjamin Cox ’20 — We spent our final night in Memphis, Tennessee. Out of every stop on the trip, Memphis offered the most opportunities to experience a strong presence of music. The city seemed to run on music, as if everything would stop if blues or rock was not to be heard in the streets. Upon arrival on the evening of the 24th, we were able to explore Memphis. A couple classmates and I ended up in Alfred’s, a restaurant on Beale Street. Given its location, live music accompanied dinner. We finished the night atop a parking garage, taking in the sights of neon lights and latenight activity. On the morning of the 25th, the two classes separated. While the political science class went to a civil rights museum, the music course headed to the Rock & Soul Museum in downtown Memphis. There I was able to view the progression of blues and rock through listening to examples of the music across the eras. It was a rewarding experience to hear information that I had already learned in class, which heightened the museum experience, as I was able to more fully appreciate the exhibits and what the music really meant to the development of our current culture. Given that the return trip awaited, we had limited time in Memphis following our trip to the museum. I used the couple hours I had to walk the streets. It was interesting the see the city during the day. The rougher edges of Memphis that had been masked by night were laid bare. Seeing abandoned buildings and apparent poverty was both saddening and valuable. It was sad given the vitality that Memphis once had. That being said, it was valuable because it represented reality. Without the ugliness and harshness of life one could not fully appreciate the blues genre. As we boarded the bus to return to Crawfordsville, I felt much more connected to both my course material and my Wabash brothers. Luke Rowles ’19 — This experience has been eye-opening. I have seen things that I never thought I would get to see, I have visited places that I have always wanted to go, and I have developed a deeper appreciation for a multitude of things. Visiting these towns and seeing the unmistakable poverty is heartbreaking. Visiting these museums and learning about the racism and bigotry that existed is unnerving. Many times, I found myself shaking my head, wondering how anyone could let these things happen or think that it was okay. It’s comforting to know that we have made great strides, but we still have a long way to go. I have greatly enjoyed learning about how music played an important role in making those strides. Today we drove from Jackson, Mississippi to Indianola, Mississippi moving up the Delta, passing open fields, many of which were used for cotton farming. As we rode, we listened to blues music. Much of the old blues music talked about the hardships that African Americans faced, including picking cotton during slavery, so it was emotional to pair the two together. We stopped at the B.B. King Museum, who is known as the “King of Blues” in music history. It was interesting and inspiring to see the impact that he had; his music brought blacks and whites together and he was a lovable ambassador to the power of the blues. After the museum, we got to see a live blues musician, which brought the experience to life even more. On one of our longer drives, we watched the movie Ray, which showed the impact Ray Charles had by refusing to play a segregated show. Wally On Wheels has been an invaluable opportunity. It is one thing to listen to the music of African American artists, but it is another thing to study it. Furthermore, it is one thing to study African American music in the classroom, but it is another thing to immerse yourself in its history by traveling the South in order to visit the sites associated with your teachings. With that, I would like to thank Wabash College, Professor Reed Spencer, Professor Shamira Gelbman, and anyone who helped make this immersion trip possible; it is something that I will never forget. Justin Raters ’19 — Today, the Wally on Wheels Immersion Trip visited the BB King museum and Club Ebony, which was once one of the most prominent African American clubs in Mississippi. These stops further showed me two things: the importance of learning unfamiliar cultures, and the importance of preserving history. These lessons have been taught throughout my schooling, but I was able to experience them more personally when visiting these sites. I can say that these were lessons that were frequently in the back of my mind throughout the day today, as well as during the entire trip thus far. Being from Crawfordsville, I have not had much experience with blues music or African American culture as a whole. 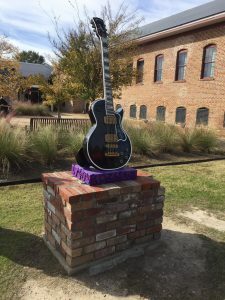 I have heard blues music before and studied it some in class, but the BB King museum helped to bring the history of the genre and culture of blues to life. It taught me why blues music was so important in the lives of the artists and the emotions it filled the listeners with. To me, the blues has always just been another genre of music, but to African Americans, especially during the 1900s, it was much more than just music — it was a way to express themselves and overcome the many struggles that they were faced with on a daily basis. 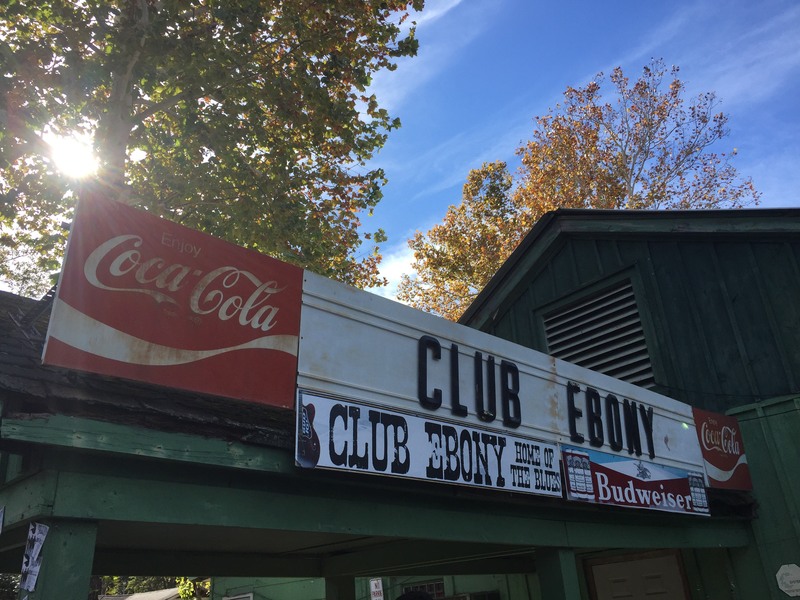 While at Club Ebony, the DJ spent some time explaining to us the history of the club and why it was significant. What stood out to me the most was that one of the owners had renovated the building so that the original look of the interior was hidden. 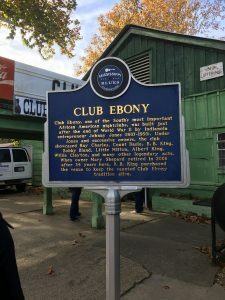 While to her it may have looked better, she covered up the history of the club—including posters, ceiling fixtures, and glass-blocked walls. When the museum gained control of the club, they discovered these things hidden away and brought them back to life. Through their leadership the club lives on through the people that continue to perform there like in its hay-day; history really does live on. 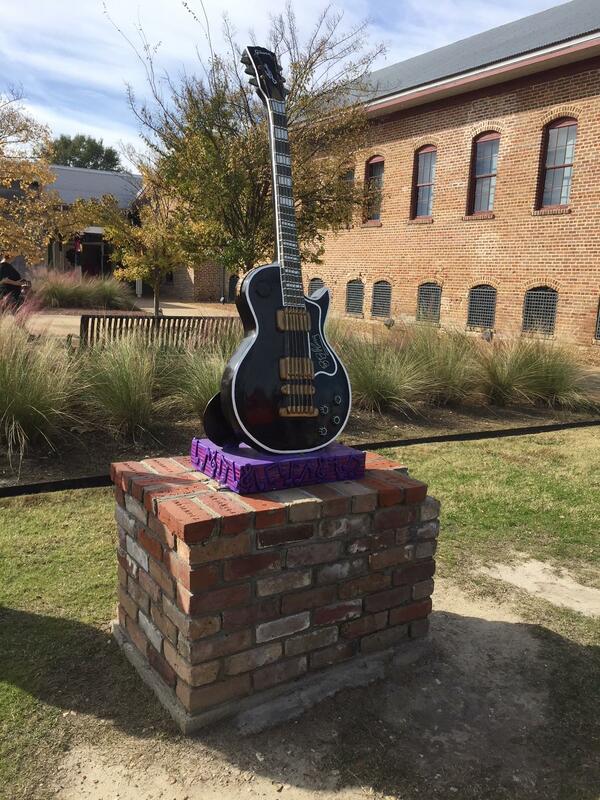 Darren Dartis ’18 —After traveling over 1300 miles throughout the South, we made a stop in Indianola, Mississippi which is the town that the blues legend B.B. King grew up. This town was the smallest we have encountered while on the trip but you could almost feel the history when we approached the B.B. King Museum. As we got off the bus, there was already blues music playing from the site and continued as we first began the tour of the museum. I personally did not know how significant B.B. King was to not only blues music but also civil rights history. My favorite part of the museum was being able to see all of artifacts they had on display which ranged from customized guitars to vintage cameras from the 1950s. It was great to see how one man had an effect on blues music which paved the way for him to have a positive impact on the entire world. After the museum we ate at B.B. King’s nightclub, Club Ebony. This was by far my favorite stop because of the rich history and feel as you entered the venue. We had a very tasty lunch while the DJ played a wide range of blues music. I found it really hard to sit down because I had an urge to get up and dance the entire time. I kept tapping my foot to the beat and clapping along just trying to soak it all in. After lunch a local artist came and played some live blues music. This was the most meaningful moment to me because I have heard blues music before, but I have never felt it. 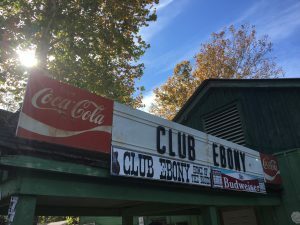 I kept thinking back to how it would been back in the day when Club Ebony was thriving. Towards the end of the performance I started to understand the importance of blues music and culture and why it resonated with so many people across the globe. Music has been proven to dramatically change lives musician and the listener. Andrew Hamilton ’18 — Even though I am in the Political Science class for this trip, I especially enjoyed the BB King museum since I love Blues music. The sites we saw today had me thinking about not only BB King and other historic Blues musicians, but also their impact on the Civil Rights Movement. 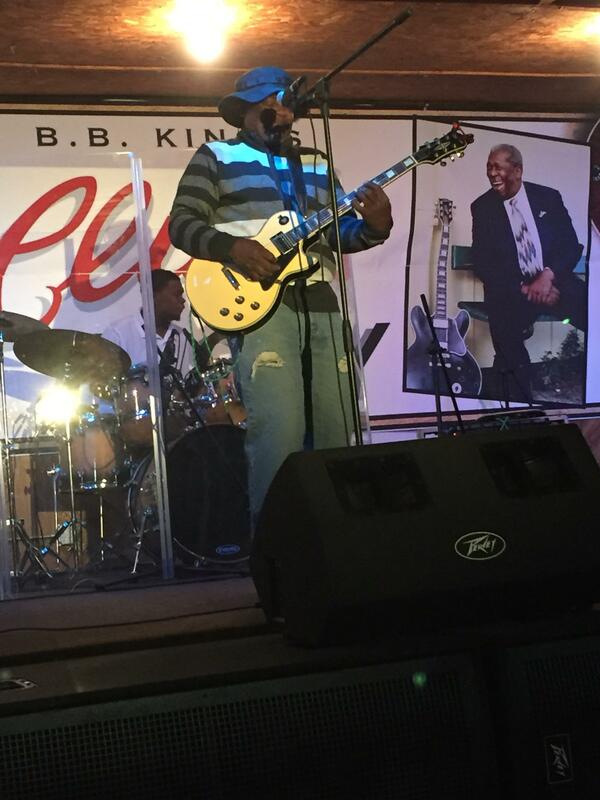 I had a great time learning about BB King’s life in the museum. I find it fascinating that so many popular bands, and some of my favorite bands, were great admirers of BB King and other classic Blues musicians. Bands that I love like the Grateful Dead, Rolling Stones, Led Zeppelin, and Clapton, all incorporated traditional Blues songs into their repertoire. Because of this I knew about half of the songs played at Club Ebony by heart: Smokestack Lightning, Big Boss Man, etc. I truly believe that these bands were doing their part in the Civil Rights Movement by playing these Blues songs and bringing them to a much wider audience. The Ray Charles movie we watched on the way to the Ida B. Wells museum only confirmed this idea for me. By refusing to play under Jim Crow laws, Ray Charles was doing his part to end segregation and discrimination in America. To touch on our visit to the Ida B. Wells museum—I am looking forward to taking the docent’s advice and reading some of Ida B. Wells books. None of us were very informed about Ida B. Wells going into the museum but we were coming out. The docent also mentioned Ida B. Wells in the same context as Susan B. Anthony and Jane Adams, two females who I have been studying in my political theory class this semester. Perhaps it is an unfortunate testament to the subconscious racism in our society that we typically do not consider Ida B. Wells in the same light as Susan B. Anthony or Jane Adams.